Evan Hughes was born in Nefyn circa 1772, a small village on the north coast of the Lleyn Peninsular, Caernarvonshire. 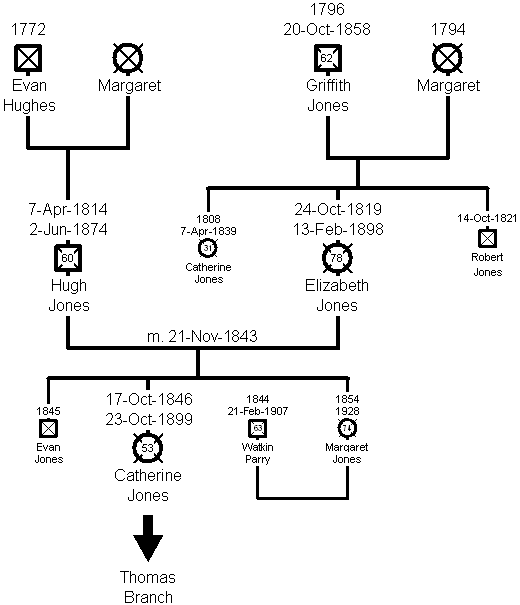 On 7 April 1814 his son, Hugh Jones was born. Evan worked as a mariner in the coastal trade transporting goods between ports on the Lleyn Peninsular, Runcorn and Liverpool. Evan died after 1837. Griffith was born in Aberdaron circa 1796. He married Margaret and by 1819 was living at Bwlch-Bridin on Porthdinllaen Beach, Morfa Nefyn. He worked as a mariner in the coastal trade. Griffith died on 20 October 1858 and is buried at St Mary's Church, Nefyn. Margaret died between 1861 and 1871. Hugh Jones was born on 7 April 1814 in Nefyn, Caernarvonshire. 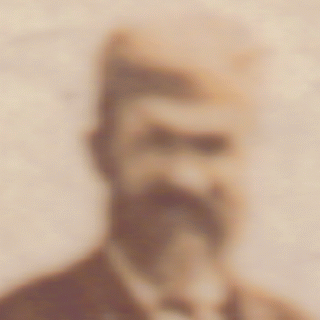 His father was Evan Hughes and it is believed that his mother was called Margaret. Hugh worked as a mariner in the coastal trade using sloops to transport goods between ports on the Lleyn Peninsular, Runcorn and Liverpool. For a few years he worked with his father. On 21st November 1843, Hugh married Elizabeth Jones the daughter of Griffith and Margaret Jones from Bwlch-Bridin, Porthdinllaen Beach, Morfa Nefyn. On 17 October 1846 at Tai’r Bwlch, Porthdinllaen, their second child Catherine Jones was born. In 1851 Hugh took out a 64 year lease for part of the land of Bwlch-Bridin for building. The land was called Fron Oleu and is where Hugh and his family lived for the rest of their lives. Hugh died on 2nd June 1874 and Elizabeth died on13 February 1898. Both are buried at St Mary's Church, Nefyn. Catherine Jones was born on 17 October 1846 at Tai’r Bwlch, Porthdinllaen. On 5 November 1870 she married Robert Thomas from Nefyn, and on 26 August 1874, their eldest daughter, Elizabeth Thomas was born in Well Street, Nefyn. The family later moved into Craig y Llan, Church Street, Nefyn (probably after the death of his father John Thomas).